Thanks to China's top officials, French historian Alexis de Tocqueville’s “The Old Regime and the Revolution”, a 19th-century classic about the French revolution, has become a best seller in China. According to a report on Business Week [zh], after Chinese Communist Party Vice Premier Wang Qishan highly recommended this book, it sold out in many bookstores in Beijing. 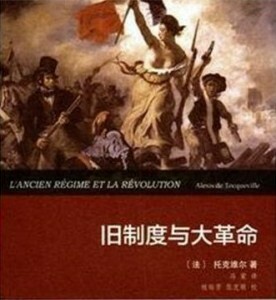 French classic The Old Regime and the Revolution has become the best seller in China.